B.S. & M.S, MSc-Engineering, Novosibirsk State Technical University, Novosibirsk , Russia, 1996. 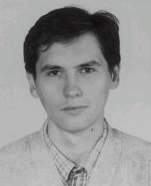 Ph.D, Institute of Theoretical and Applied Mechanics, Novosibirsk, Russia, 1999.